I have been testing Sony’s gadgets since the past decade and a half. There have been highs and lows in Sony’s journey. However, now I would say it is a high point for Sony especially when it comes to audio headsets. They re-strategized a couple of years ago in the headphones segment and now they seem to be on top of their game, with the launch of Sony WH-1000X M3 headphones. 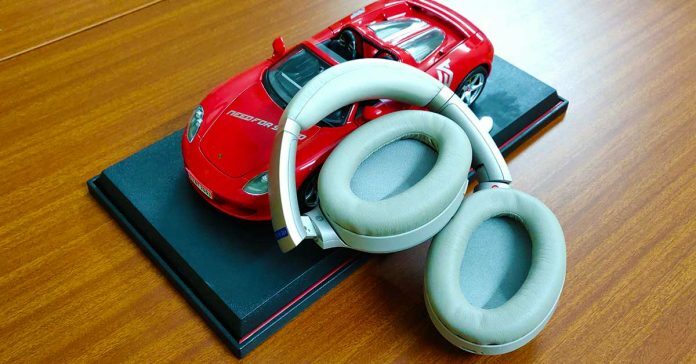 These are a great pair of headsets that came to our test bench and left us awestruck. This is our review of the neat wireless headphones. The headphones that Sony launched in the last few years have been similar to each other in terms of form factor. And at he first glace the Sony WH-1000X M3 headphones look no different. But when you look at them closely, this one is quite different from the others. To start with, this headphone has only two buttons on it, one to power it on and the other to manage the noise cancellation. So how does one use the other functions like volume up/down et al. Well that is where the new innovation on these headsets come in. The right ear cup is touch sensitive and users can use touch gestures to manage most of the functions. For example, one can swipe from front to back or back to front to skip tracks. Swipe from bottom to top or top to bottom on the ear cup to manage volume. Double tap on the ear cup to play/pause a song or to pick a call. And on most occasions, this works really well, it is just a matter of getting used to. The Sony WH-1000X M3 headphones are available in two colours — black and silver, which came to us to be tested. Sony has used premium plastics, metal and comfortable foam pads all around this headphone. The ear cups cocoon your ears perfectly and help to keep the ambient noise out. More on that in the performance section of this review. In case one wants to use these headphones with an auxiliary port, they can with the supplied audio cable that comes in the box. In the box I also found a nifty carry case, an airplane connector and since it is wireless, an USB charging cable as well. Moving to the more fun part, its listening experience. Sony WH-1000X M3 headphones are very easy to setup. Just download the Sony headphones app from the Play store, turn on the Bluetooth on your smartphone and in matter of minutes you will be up and running. The Bluetooth headphones work with smartphones, laptops as well as other mobile devices. Connecting them with a laptop is also child’s play. The headphones app is nicely built and features things like an equaliser and virtual surround sound function. These come handy when you are listening to different genres of music or are watching a movie on the smart device. 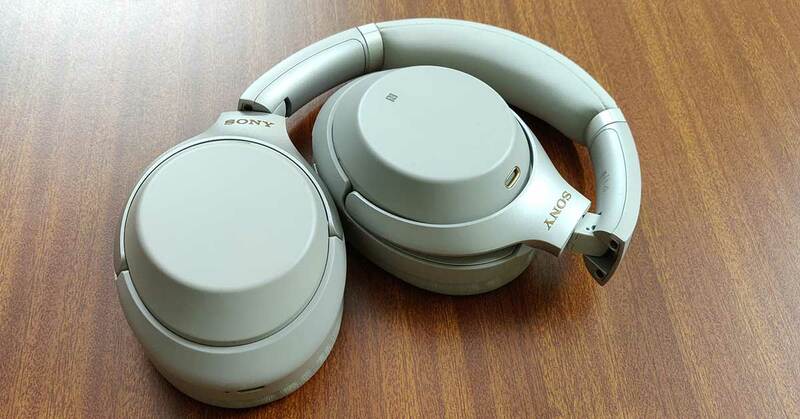 Moving on to its resonance, Sony did a fabulous job building the Sony WH-1000X M3 headphones. I loved the beats it threw at us, bass is spunky and the lows are clearly audible. Noise cancellation works extremely well and there are three modes of it on the headphones. One of them is that the headphones will let a bit of ambient sound, like important announcements at the airport, come in. The ambient sound can also be managed via the app, too. The Sony WH-1000X M3 headphones are a smart set of headphones, these automatically adjust to changing environments. By that I mean the headphones know your surroundings and will adjust the audio mode and sound accordingly. For instance, if you are walking on the road with the headphones on, then it will seep in a bit of ambient sound so that you are aware of the surroundings while listening to your favourite tunes and walking. Also, when you are traveling in an airplane and the air hostess comes to ask you something, you need not take the headphones off. Instead just place 4 fingers on the right ear cup and automatically you will be able to hear what the person is saying. Quite neat! Overall, I loved the audio experience on these headphones, they are comfortable to wear. The Sony WH-1000X M3 headphones will not give you any sort of aches (head or neck). With 40mm drivers inside the sound does not crack or distorts even at full volume. Calling feature works flawlessly, too. The battery lasts for over 25 hours on a single charge, but does take its fair bit of time to recharge. Sony has enabled fast charge on these headphones, where users can get up to 5 hours of playback time with a charge of 30 minutes. But that can happen only by using a compatible fast charger. Sadly, the charger is not part of the package one would need to buy it separately. That is the only downer I came across on this device. All in all, Sony you have outdone yourself and I for one loved these. They are definitely one of best headphones right now in the premium side of the audio market. If you have the money to spend and are looking for futuristic sound and controls, go for them without a doubt.